How about adding a fun, culturally-inspiring experience on your way to or from historic towns like Asakusa or Ueno? Nihon Buyo or Nichibu is a traditional Japanese dance, known for its elegant moves which you may recognized from geisha. In this 2-hour experience, you can learn the graceful movements of Nihon buyo from a young talented Nichibu dancer in a relaxed and friendly atmosphere. 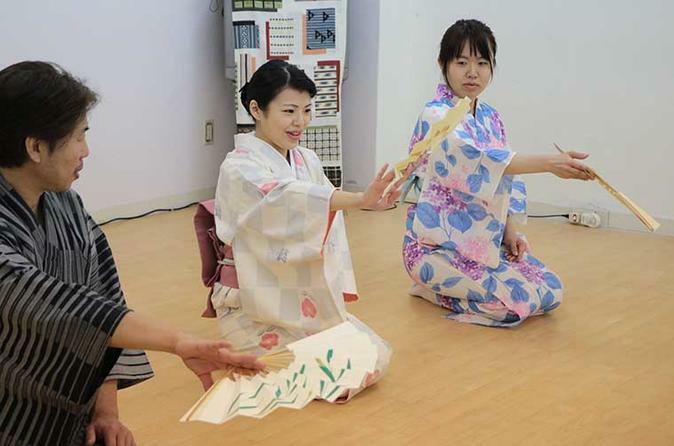 Don a beautiful kimono and get immersed in the fascinating world of Nihon buyo!